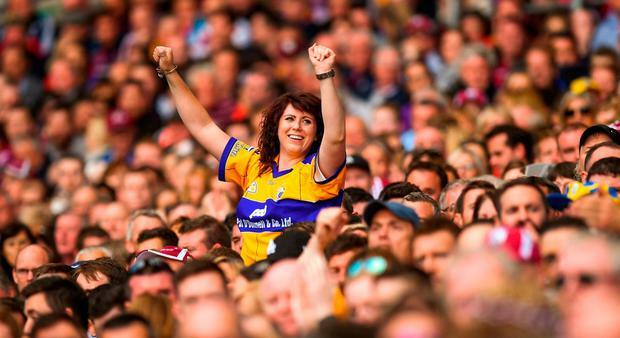 Sunday's All-Ireland hurling semi-final replay between Galway and Clare is expected to sell out with tickets no longer available online. There was anger in both counties, however, when it emerged that tickets would not be distributed through clubs because of the short turnaround. Both county boards were informed of this development yesterday morning, prior to tickets going on sale at 11.30. By afternoon it was reported that all stand tickets had been purchased and that overall some 25,000 tickets were gone. Many supporters were caught off guard and left questioning a policy that doesn’t give preference to its club members. The drawn game attracted 54,191 spectators on Saturday evening in Dublin so Semple Stadium’s 48,000 capacity is expected to be reached comfortably. Images flooded social media yesterday of lengthy queues outside usual retail outlets as fans scrambled for tickets. Clare chairman Joe Cooney branded the situation a 'joke'. Yikes. Queues of two hours in Clare for Clare V Galway replay tickets. Hopefully they all end up in the hands of real fans and not the touts! Ttickets are no longer available through the GAA website. Disgruntled fans lamented the fact that people with poor wifi, supporters who were at work and older fans were disadvantaged by the move.